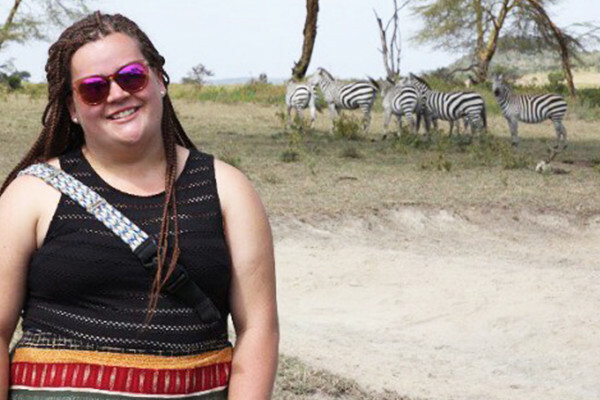 Hannah WhitehouseMusic started Northwestern University junior Hannah Whitehouse on a path that will take her across the globe to England, Kenya, India, the Philippines, and New Zealand on a once-in-a-lifetime research mission this summer. This year's recipient of the Circumnavigators Travel-Study Grant, Whitehouse plans to study El Sistema, a rigorous model of music education that originated in Venezuela in the 1970s and has since spread across the globe to provide education to low-income children through hundreds of free programs. Whitehouse is the third School of Education and Social Policy (SESP) student to win the grant, which is awarded to just one student a year. Jonathan McBride was the winner in 2015, while Meixi Ng received it in 2010. Funded jointly by Northwestern’s Office of Undergraduate Research and the Chicago Chapter of the Circumnavigators Club, the annual $9,000 award helps one student spend the summer traveling the world and researching a topic of his or her choice. “I discovered my path and passion through the study of music,” said Whitehouse, a violist and dual degree student in SESP and Bienen School of Music. El Sistema, which translates to “The System,” is a philosophy that promotes child development through the rigors and rewards of orchestral music instruction. It has inspired more than 60 programs in the U.S. But almost 50 years after its creation, there is still a great deal of dispute regarding El Sistema’s efficacy and the way the programs affect targeted communities. El Sistema is intense -- too intense, say critics -- with four to five ensemble-style practices lasting several hours each week. Critics also charge that El Sistema fails the ethics test by relying on Western European “classical” music to serve marginalized communities of color. Through her research, Whitehouse hopes to learn how the El Sistema philosophy manifests itself in each of the five communities she plans to visit and establish best practices. Whitehouse plans to observe rehearsals, lessons and faculty meetings and interview founders, administrators and families involved with several programs, including Sistema England, Ghetto Classics in Kenya, Music4All in New Delhi and Sistema for the Filipino Youth in Manila. “My goal is to learn more about best practices in order to advocate for more cultural understanding and ultimately promote global social change through music,” she said. Whitehouse, who won a 2017 summer academic research grant, intends to bring her findings back to Chicago, where she works with an El Sistema-inspired program offered through the People’s Music School. “This research travel-study grant will allow me to further solidify the connection between my two degrees, explaining the intersection of music education and its impact on the lives of marginalized communities around the globe,” Whitehouse said.